Joe Hassell continued his strong inside play down the stretch with 19 points and 11 rebounds as Randolph-Macon completed the first unbeaten Old Dominion Athletic Conference regular season in school history at 16-0, downing Emory and Henry Saturday afternoon 82-63. The Yellow Jackets also hit 13 shots from beyond the three-point arc, as they finish the regular season on a twenty-game winning streak at 23-2. Rip Engel had 12 points while Chris Hamilton added nine. Randolph-Macon next plays the winner of the #8/#9 game in the quarterfinals of the ODAC Tournament at the Salem Civic Center on Thursday at 1pm. 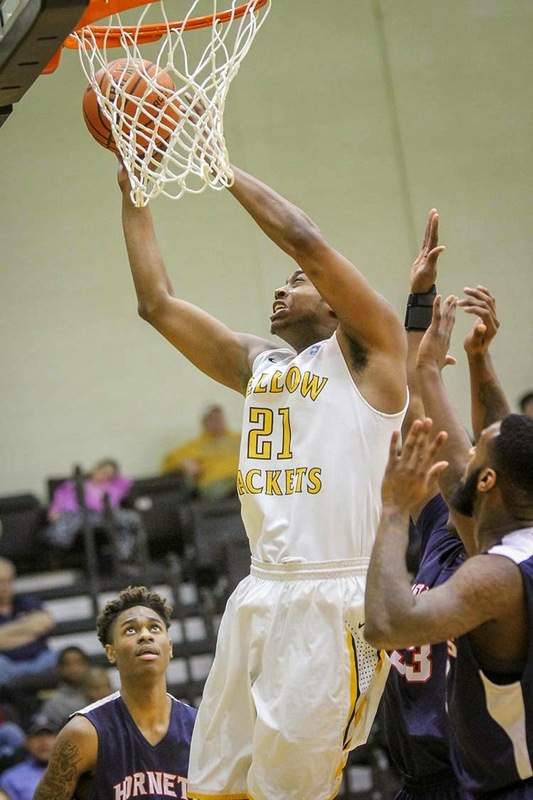 The Yellow Jackets are expected to again be the number one team in Division III nationwide when the new Top 25 poll is released early next week.